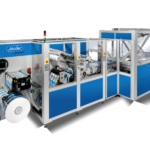 The RSM-DIGI-VARICUT is equipped with a new Generation of hybrid drive technology for the rotary converting of digitally printed packaging materials. A combination of continuous & vector drive technology – in re-registration mode – allows format independent converting by the use of a single tool circumference. 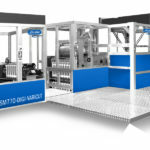 The RSM-DIGI-VARICUT is based on modular platform, available for different working width (max. working width currently 850 mm, max. format length 1220 mm). The standard configuration of the RSM-DIGI-VARICUT includes a vacuum controlled delivery table. 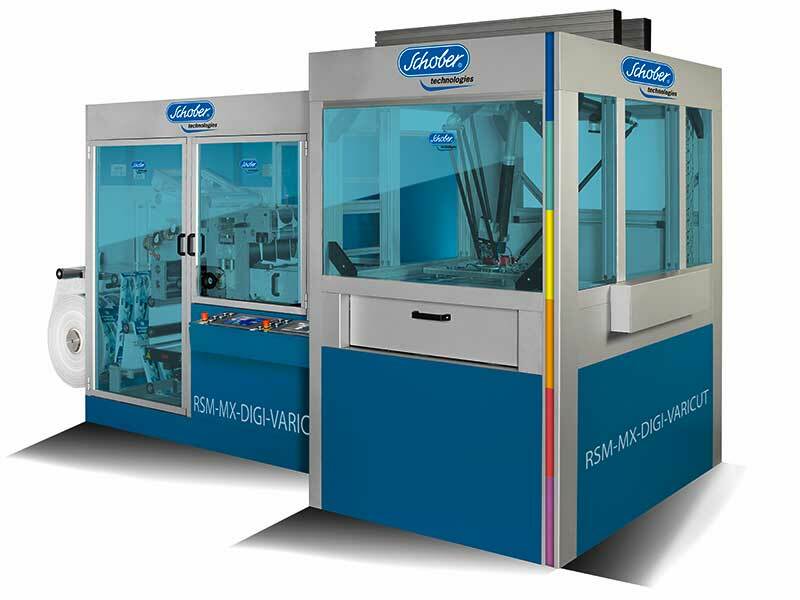 A high speed programmable robot-automated stacking and counting system (Spider) which combines extreme acceleration, velocity and precision at continuous web speed of up to 50 m/min can be added. 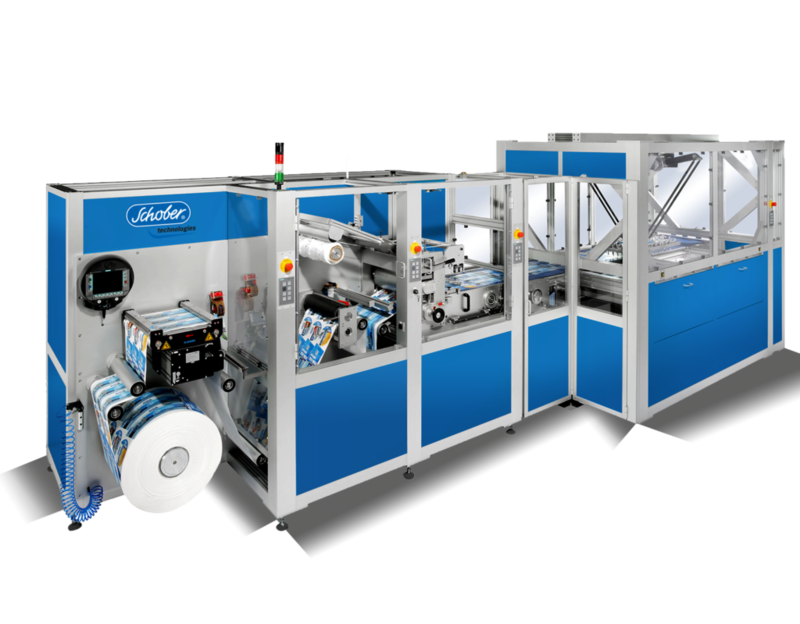 The Spider is designed to pile up different types of products combined within the same printing image. They can be heavily nested or combined – i.e. very large/long with small products. Product specific, fast interchangeable pick-up plates take up products at synchronized speed and stack them into a dual piling cassette system – non-stop. A 100% product inspection system with defective product discharge is available in addition. The RSM-DIGI-VARICUT is – due to its advanced design – ready to meet the specific demands of the digital market to cope new business challenges. 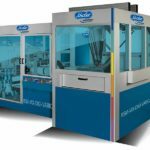 Short make-ready time, minimum waste & cost-effective cutting technology with maximum lifetime – due to a micrometric die wear compensation adjustment – are additional significant benefits of this converting technology. If you want to experience the latest development of the RSM-DIGI-VARICUT series in action, we recommend our current video of the RSM770-DIGI-VARICUT model.